The ‘#’ is also known as a “fragment identifier” and is typically used to identify a portion of an HTML document that sits within a fully qualified URL. When passing ‘#’ inside a URL to the back-end database we can use ‘%23’. This is a crash I found in MySQL versions up to 5.5.45. In the function procedure analyse() I found this crash while passing a sub query. There are lots of tools available for blind injection but when it comes to customizing payloads and bypassing WAFs I thought of writing my own program to extract data based on the true and false boolean conditions. sql = " and substring("+ payload +"," + str(i) + ",1)=" + hex(ord(chr(j))) + "-- -"
This is another overflow in the DOUBLE data type in MySQL I found. You can refer to my previous post on BIGINT Overflow Error based injections if you want to understand exploiting overflows in extracting data. Also the queries are similar to my previous post. When we take the functions in MySQL I was interested in the mathematical functions. They too should contain some data type to hold values. So I went on testing for functions which would cause any overflow errors and I found out that exp() would cause a overflow error when we pass a large value above 709. The exp is the opposite of the ln and log functions of MySQL. If I briefly explain the functionality of these, log and ln and both returns the answer to the natural logarithm or to the base e. In common e is approximated to: . I was interested in finding out new techniques that we can use in extracting data via MySQL errors. This is a detailed write-up which will make you understand how I made these queries. When we look how MySQL handles integers I was interested in causing overflows. 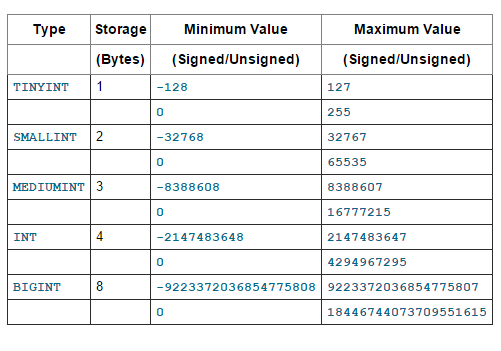 This is how MySQL stores integers. These overflow errors will cause in MySQL versions 5.5.5 and above only. In below versions integer overflows would result in a silent wraparound. The data type BIGINT is of 8 bytes in size which means it’s of 64 bits. If we take the maximum signed value of a BIGINT its “0b0111111111111111111111111111111111111111111111111111111111111111”, “0x7fffffffffffffff”, “9223372036854775807” in binary, hex and decimal respectively. Once we evaluate numerical expressions on this value like adding will cause a “BIGINT value is out of range” error. There is a login page and our goal is to extract all the usernames and passwords from the database. 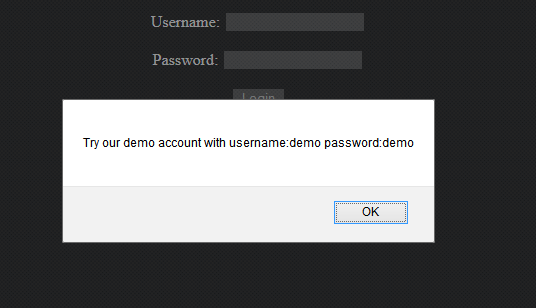 If you try injecting the login form, none of the injections would work. But there was this text called “No account?” when you click it you get this message. After logging with demo:demo we are taken to “proxypanel.jsp” which displays source, target and date. One of the Paypal Partner websites http://ppinvoice.com/ was suffering from a POST SQL injection. Union injection was impossible in here. As we cannot continue with the above error, double query injection works perfect.